"All of the brothers love him very much." 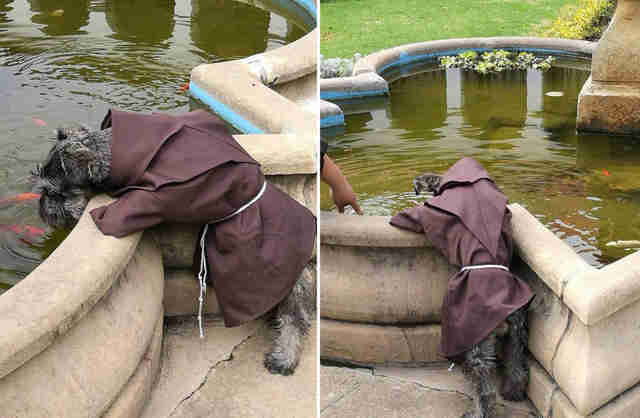 In Catholic tradition, St. Francis of Assisi is the patron saint of animals — so perhaps it's only fitting that one of the newest followers to join his order is quite literally a dog. 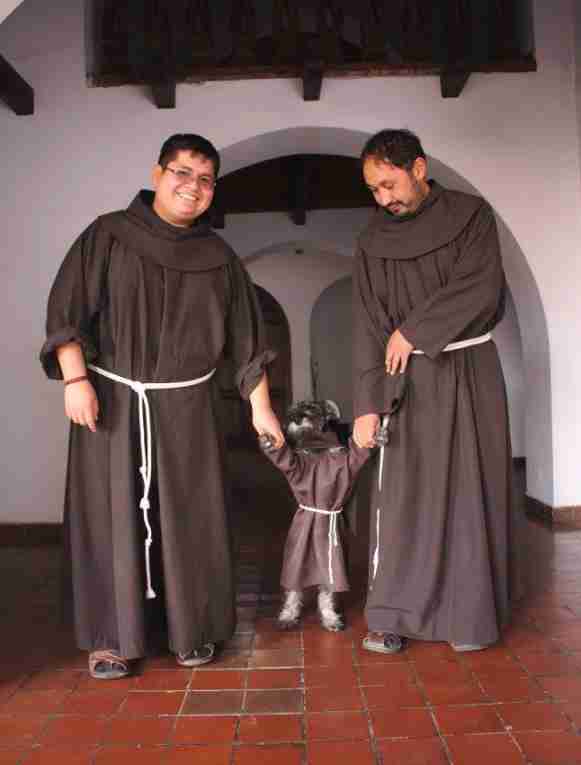 The Franciscan monastery of Cochabamba, Bolivia, recently announced that a furry pup, named Carmelo, had joined its sacred fold, where he quickly distinguished himself as its cutest member. 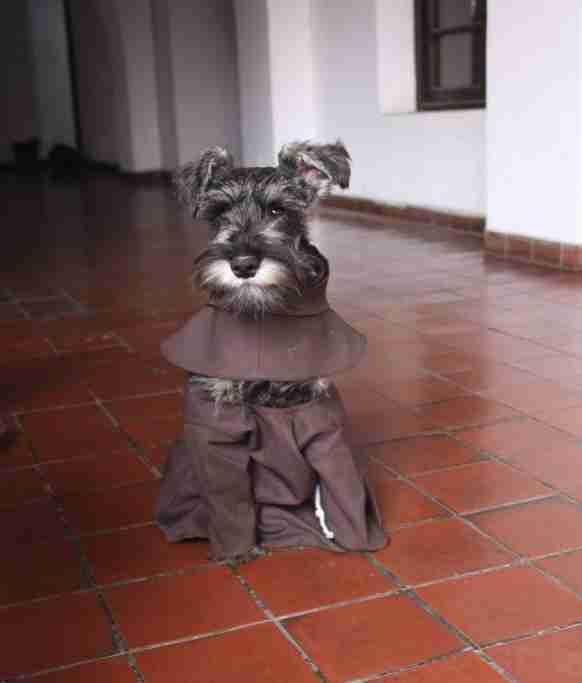 In honor of his new position, the dog even earned a more formal title: Friar Bigotón (that's Spanish for "mustache"). He also got a tiny Franciscan habit to wear around his new home. Prior to being adopted, Friar Bigotón lived as a stray. But now, as the monastery's resident pet, things couldn't be better. "His life is all about playing and running," Jorge Fernandez, a fellow friar, told The Dodo. "Here, all of the brothers love him very much. He is a creature of God." Apparently, running and playing aren't the dog's only duties. "[Here's] Brother Carmelo preaching to the fish," wrote Franciscan Kasper Mariusz Kaproń, who first posted these adorable photos online. 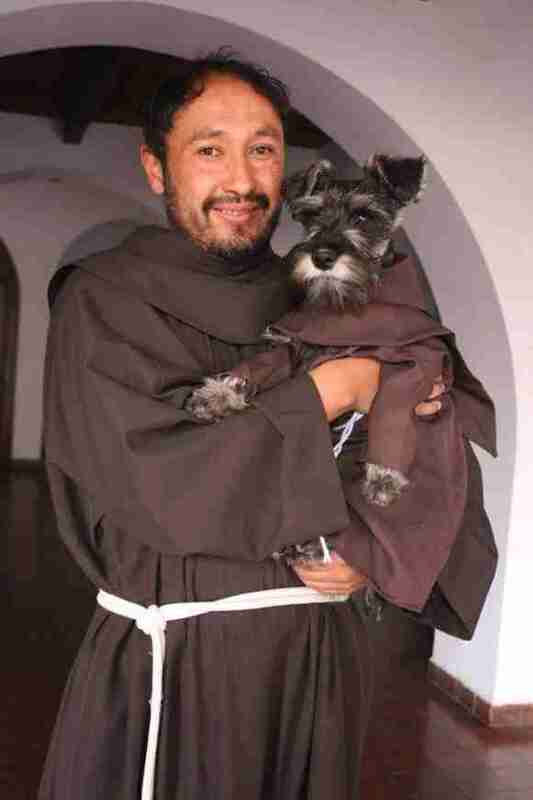 Most importantly, though, Friar Bigotón's biggest role is in helping other pups like him. 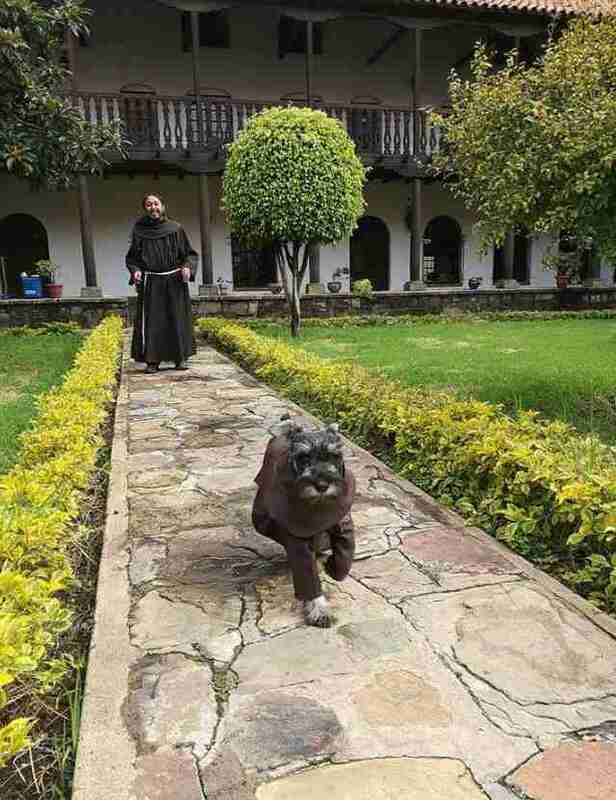 Carmelo's adoption was made possible by a local animal rescue group, Proyecto Narices Frías (Cold Nose Project), which hopes his story will serve as an inspiration for more monasteries to open their doors to needy pets. 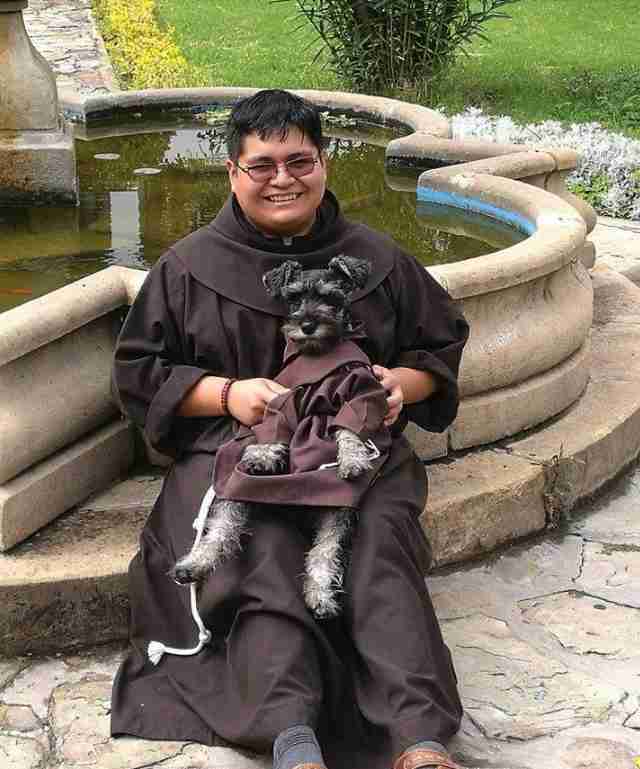 "If only all the churches of our country adopt a dog and care for him like Friar Bigotón," the group wrote in a post on Facebook, "we are sure that the parishioners would follow his example."